You asked for more Extra Wide Slippers and we listened! 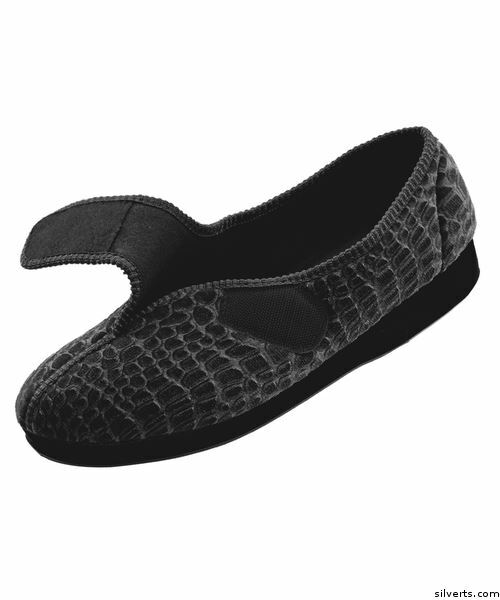 Easy-On wide width slippers updated in stylish embossed fabric with slip resistant soles. Easy-on slippers are perfect for those at home or in nursing facilities. The cross-over Easy Touch adjustable straps allow these slippers to be adjusted for swelling, swollen feet, swollen ankles and are great for those with arthritis. The skid-resistant soles help prevent slipping. A sturdy yet comfortable fit. These bedroom or house slippers by Silvert offer an extra wide fit or WW wide fit making them a terrific gift for home care, hospital or nursing home settings.